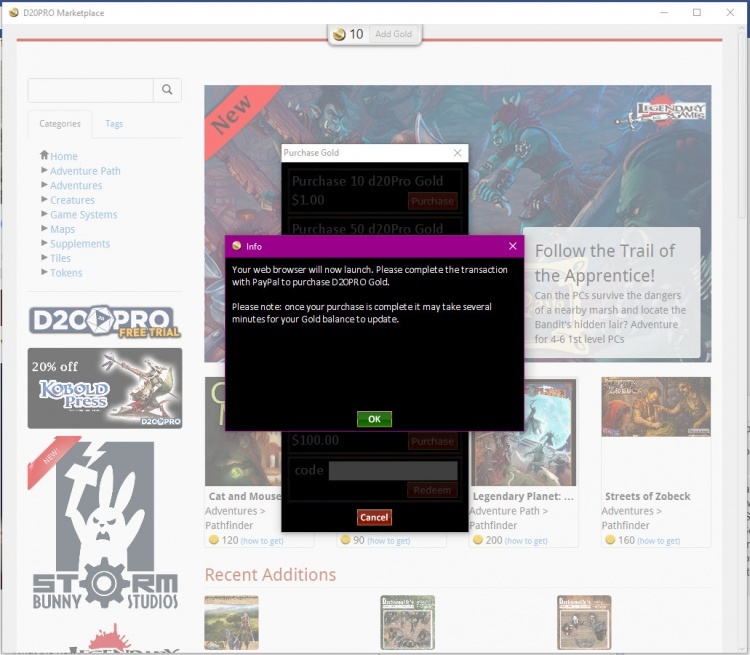 Press "Launch Marketplace" and Enter your d20Pro Live Password. Find item you wish to purchase and download, then click Confirm Purchase. 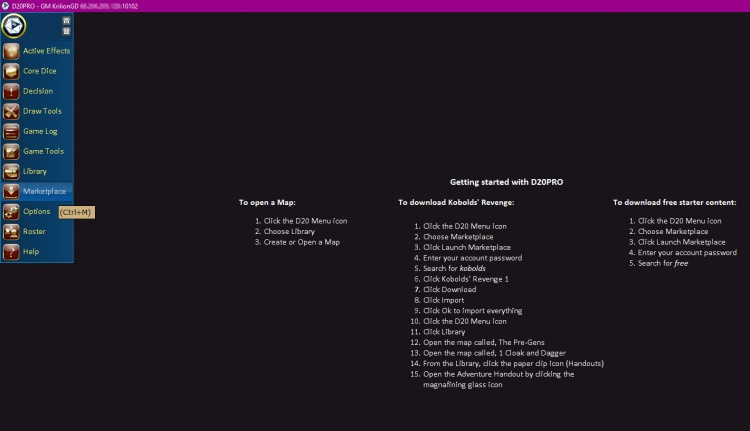 Start the download and see progress. 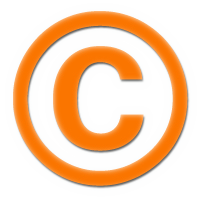 The d20Pro Content Marketplace supports up to 3 simultaneous downloads. 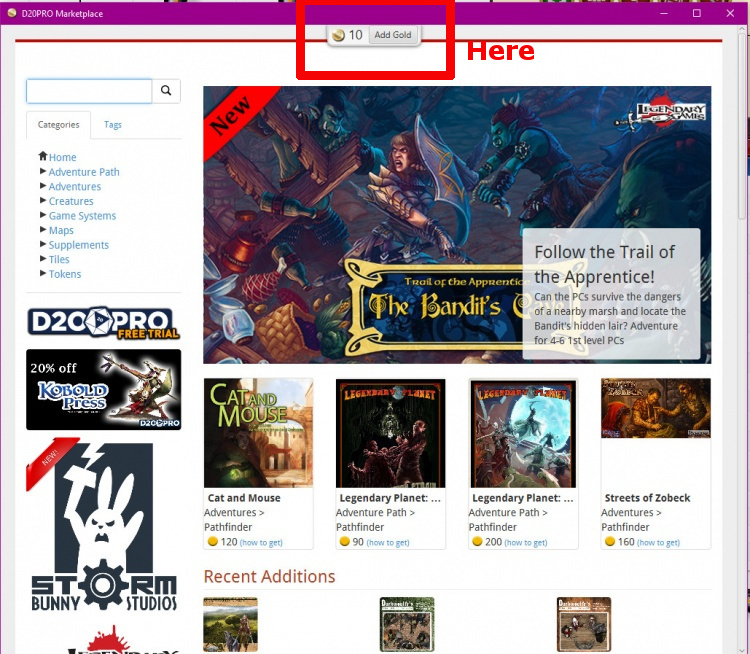 To Install, Refresh the Downloads Window by hitting the "Sync" button on the top and press "Import..." for each item you wish to add content to D20PRO. Alternatively, you can "Select All" then press the green "OK" button. 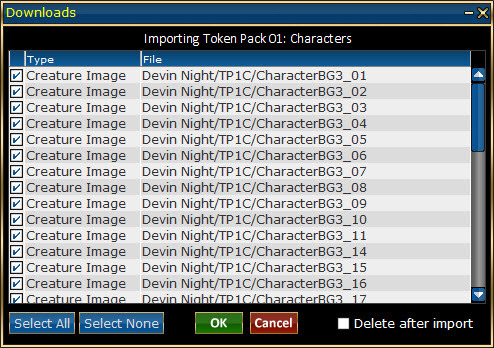 Content added (imported) in this way only effects the current Campaign and must be done for each campaign you wish to have access to that item in. To purchase Gold on the marketplace, please follow these steps. Click on the D20PRO left Menu. 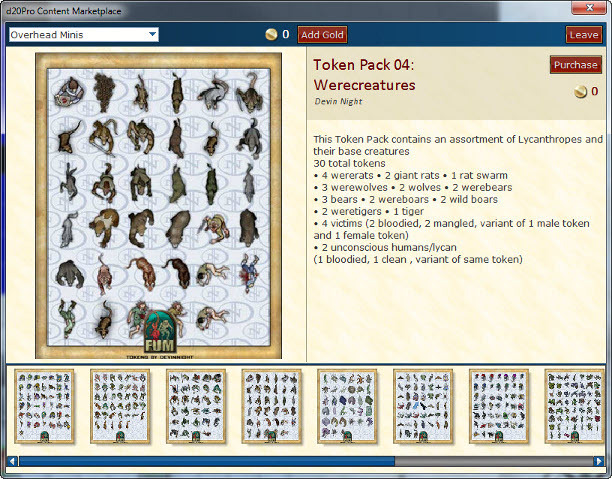 Select Marketplace from the menu. 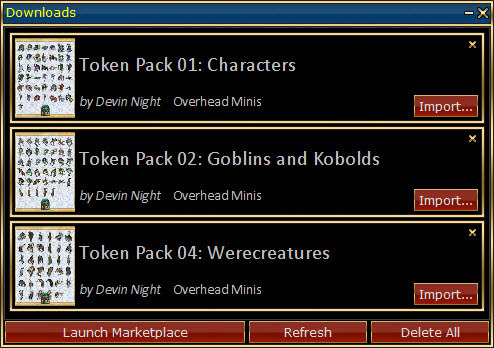 In the sub screen (Marketplace assets) that opens, click Launch Marketplace. Once the Marketplace opens (Marketplace Interface), at the top middle of the screen you will see how much gold you current have on account. Next to that amount is a button to add gold. 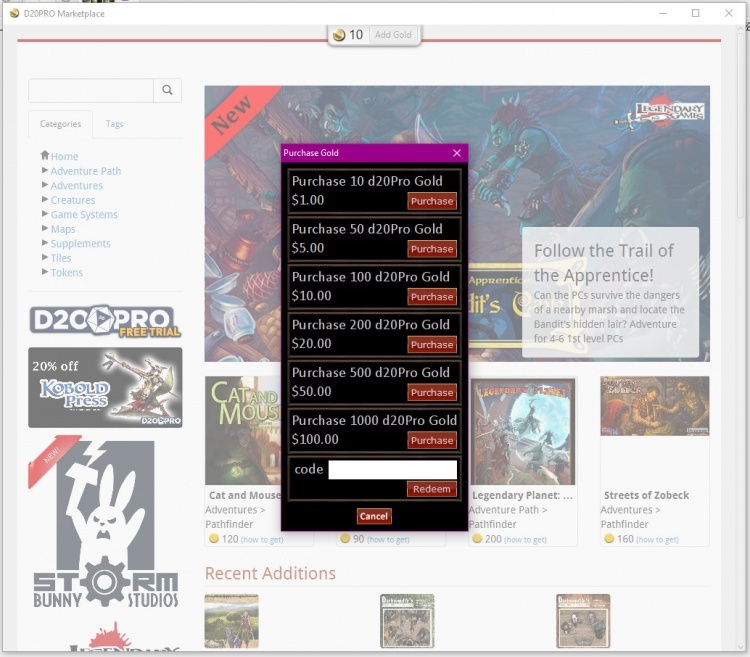 A sub window (Add Gold) will open offering you various gold amounts for purchase, select the one you wish to buy. Push the purchase button (PayPal Redirect), A browser window will open and take you to PayPal for you to complete your transaction. Once you transaction is complete, you will be returned to the Marketplace. In the top middle of the Marketplace you should see the amount of gold you have on account.